It was a Wednesday afternoon. Phil Curtlin, Group Leader on the Door Line in FA1 had just started his afternoon shift and was about to complete his team’s Work Group Brief. He was yet to know this was going to be a Work Group Brief with a twist - all because of his fantastic attendance. In secret, a few weeks previously, Phil’s name was drawn out of the hat in the Motorvate lottery draw. 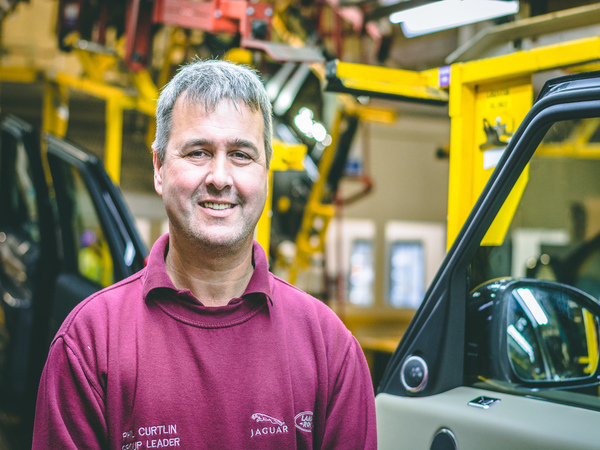 Every quarter, Jaguar Land Rover looks back at the past three months of attendance scores and if they have improved by 0.25% or are over 97%, employees with 100% attendance over those months are entered in to a draw to win one of two cars. Yes, you heard it right, if you have 100% attendance you could win a car! It’s a good job Phil likes surprises! In the middle of his Work Group Brief, Phil received a welcome visitor - Dave Owen, Solihull Operations Director who presented Phil with the best Wednesday afternoon surprise he’s ever had - a brand new Ford Fiesta. Phil, a big congratulations and we hope you and your wife enjoy the car. We can all play our part when it comes to attendance. By turning up each and every day you could potentially win a car like Phil. You have to be in it, to win it.